The Daiwa Solace zero gravity massage chair has an extra-long L-track of 49 inches and an adjustable footrest to accommodate users of nearly any height. 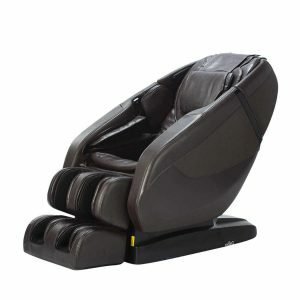 While most massage chairs at this price point have a standard S-track, or even just vibration and air massage therapy, like the Svago Benessere zero gravity recliner, the Daiwa Solace has dual roller technology that massages all the way down to the bottom of the hamstrings for the ultimate in muscle relaxation and massage therapy. 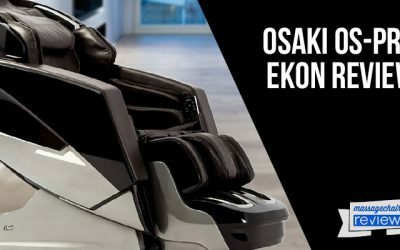 The Daiwa Solace w heat also includes other features you’d expect to find on more expensive massage chairs, like the Osaki Active-L and Osaki OS-Pro Maxim. 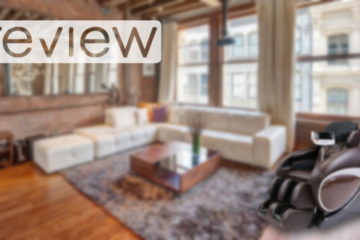 From Bluetooth technology to reflexology foot massage, we explain all these features in our Daiwa Solace review, so you can choose the zero gravity massage chair that’s best for you. The Daiwa Solace w heat delivers a full body massage, with a roller track that extends from the back of the neck all the way down to the bottom of the hamstrings. Not everyone likes the feel of this kind of extended massage. 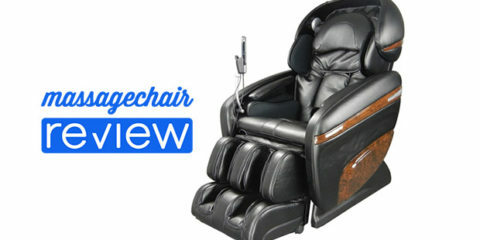 But if you want an experience that’s as good as any masseuse, you will love this extra-long l-track massage chair. Many massage chair shoppers need a model that can hug the wall. With its unique “shift” design, the Daiwa Solace can recline to its full zero gravity position with only 3 inches of wall clearance, giving you more space in your living room or family room. Zero gravity massage chairs offer a number of benefits, reducing spine compression to help alleviate back pain, improving circulation, and even helping to lower blood pressure. 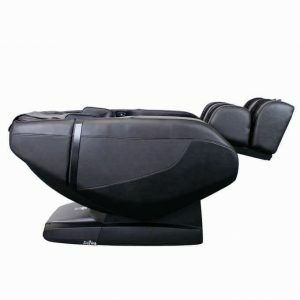 The Daiwa Solace zero gravity massage chair offers a choice of two zero-gravity levels. 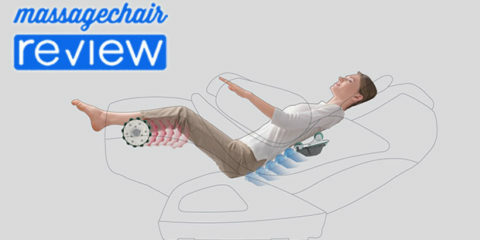 The 30-degree angle repositions the body for a deeper massage and a feeling of weightlessness, even for users who don’t want to feel as if they are upside down in their massage chair. The 120-degree angle further elevates the legs above the heart for additional benefits. Both positions remove pressure points during the massage and can help relieve joint pain over time. There is nothing like a heated massage chair if you want to alleviate back pain, improve digestion, and enhance relaxation. 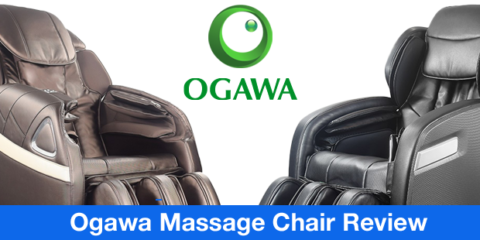 The Daiwa Solace delivers heat across the lumbar area for a soothing, warm massage that will promote rest and healing. 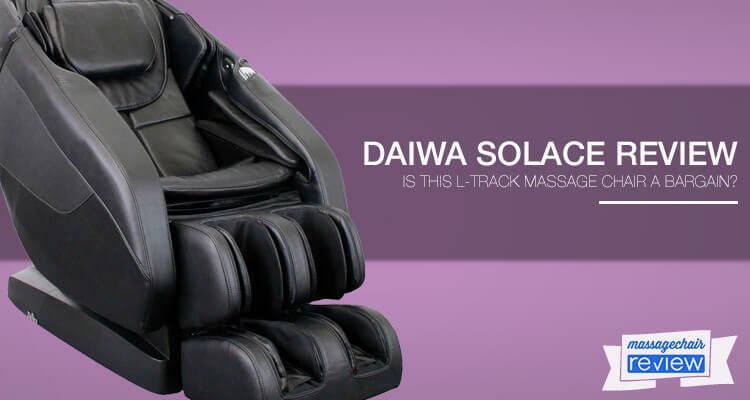 With 42 airbags on the shoulders, around the arms, and under the thighs and calves, as well as over the feet, the Daiwa Solace provides a stretch massage for muscle recovery. Stretch massage can also help you achieve an increased range of motion. Reflexology, where specific spots on the bottom of your feet correspond to major organs and other parts of your body, is recognized as a powerful healing tool. The Daiwa Solace uses two separate rollers on each foot to deliver a reflexology massage that can aid in healing tired feet and promoting overall health and well-being. Removable foot pads can soften the touch of the rollers for those who find a powerful reflexology massage uncomfortable. Many lower priced massage chairs are just not comfortable for every user. The Daiwa Solace circumvents this challenge with adjustable shoulder pads that can be raised for an extra six inches of coverage. Rotate the shoulder pads 90 degrees, so the air massage hits the right spots every time. Additionally, the adjustable footrest extends to a full 24 inches, providing a comfortable air massage and reflexology massage for any user. 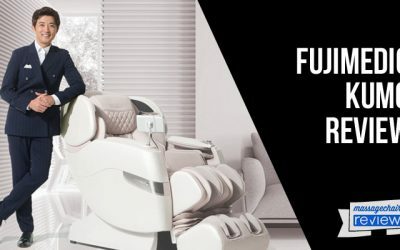 Most of today’s higher-end massage chairs today feature Bluetooth connectivity and speakers so you can listen to music while you enjoy your massage. The Daiwa Solace provides this feature. 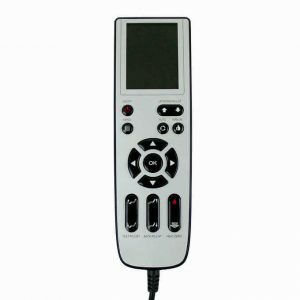 While the Daiwa Solace does come with a conventional wired pushbutton remote control, it also has an app that allows you to access massage chair controls through Bluetooth via your smartphone or tablet. Plug your mobile device into the handy USB charging port to keep easy and intuitive touch control right at your fingertips. The Daiwa Solace zero gravity massage chair offers more programming options than many other chairs in its class. With 18 automatic programs, you are sure to find you one like. Whether you’re seeking relief from back pain or want to help your muscles recover after a workout, the Daiwa Solace provides massage options for you. The massage chair programming also has memory to hold six customizable programs so you can enjoy the massage of your dreams every time. The extra-long L-track is a nice feature on a chair of this price. But without an S-track to guide the rollers over the natural curve of your spine, the massage could be too hard, too soft, or otherwise ineffective or uncomfortable. 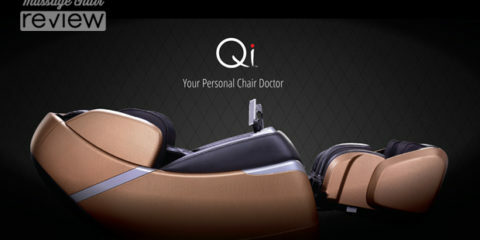 If you want a chair that not only extends the massage to your hamstrings but also conforms to your spine, consider a hybrid S/L track massage chair like the Osaki OS-Pro Maxim or Osaki Active-L.
Other chairs that sell for around the same price provide color-changing LED chromotherapy, which has shown to promote relaxation, improve your mood, and even positively affect overall health and wellness. This is a standard feature today on most luxury massage chairs, including the Osaki Active-L and Osaki OS-Pro Maxim. 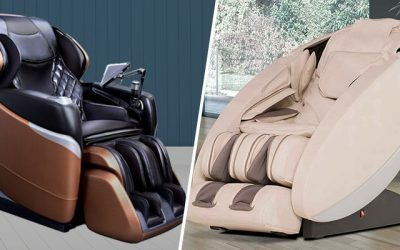 So it is something to considering when you’re paying $3,000 or more for a zero gravity massage chair, and we feel we need to mention it in our Daiwa Solace review. The Daiwa Solace does a great job offering customizable features for users up to 6’4”. But anyone weighing more than 265 lbs. is out of luck. That is the zero-gravity massage chair’s maximum weight capacity. If you are looking for a more durable, robust chair for heavier users, consider the Osaki Active-L, which can hold anyone up to 300 lbs. Sold exclusively online through warehouse clubs, you first need a club membership to purchase the chair, so you have to consider that cost into the purchase price. The Japanese word “Daiwa” translates to “great harmony.” But there is great discord (you know, the exact opposite of harmony!) 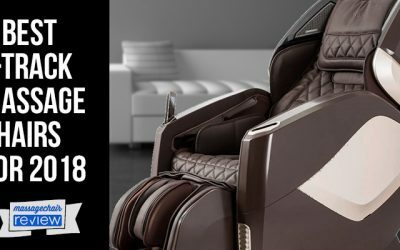 between the product name and the service experience you can expect if you purchase the Daiwa Solace zero gravity massage chair. Because it is sold through warehouse clubs instead of massage chair experts, customer service and support is limited. Customers have just 90 days to return any electronics items and are responsible for paying return shipping. In addition, you cannot purchase an extended warranty for parts or labor. If your chair breaks after 90 days, you could be stuck with a pricey purchase taking up space in your living room. You might even have to pay to have the broken chair hauled away. That’s anything but relaxing! 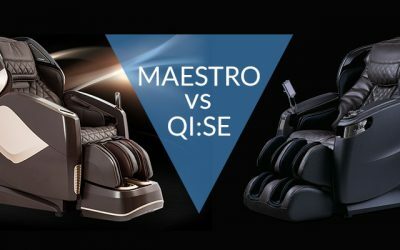 On the other hand, zero gravity L-track massage chairs like the Osaki Active-L and Osaki OS Pro Maxim provide guarantees against faulty parts, workmanship, or structural defects for up to three years. You can also purchase an extended warranty for in-home service, parts, and labor for up to five years. The Daiwa Solace is not a bad zero gravity massage chair w heat. But it is not the best of the best. 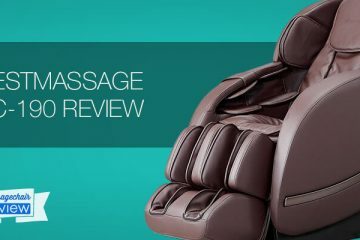 Most importantly, when you are reading massage chair reviews like this Daiwa Solace review it is crucial to think about the warranty and service. Keep in mind, you can find the Osaki OS-Pro Maxim or Osaki Active-L on sale for less than the price of the Daiwa Solace. But don’t just trust our Daiwa Solace review. 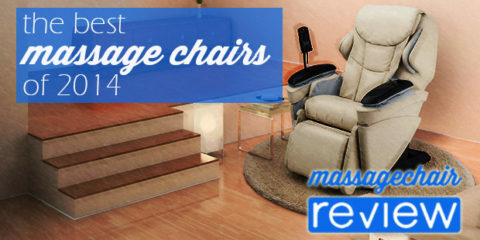 Shop around to find other massage chairs from more reputable manufacturers, with even more features for less money.